Brooke is passionate about offering practical, compliant solutions to best suit her client’s human resources needs and objectives. Whether she is conducting performance reviews, designing policies and procedures, acting as a client’s staff partner, or conducting human resources training, she always brings real-world perspectives to the table to ensure that the solution is not only administratively feasible and compliant but is also aligned with the client’s culture. Brooke designs client specific solutions that are designed to increase employee engagement, ensure compliance, and directly contribute to the success of the business. 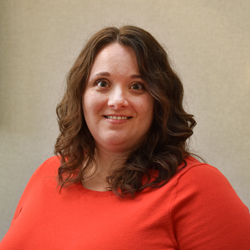 Brooke is a human resources professional with a focus on diversity and inclusion programs; benefits design and administration; and employee relations. She has over 10 years of rich, progressive experience as a trusted subject matter expert in resolving and mitigating complex employee relations matters. From in-house roles, she has served a wide range of employers from large, complex multinationals to growing, entrepreneurial businesses. This experience has shaped how she approaches each client individually to provide solutions that fit their culture and size. Additionally, her career has been built upon developing active business partnerships with senior executive leadership in the strategic selection and tactical execution of HRIS systems, retirement plans (both qualified and non-qualified), and various talent strategies that integrate human capital success into strategic business results. Currently, Brooke attends McKinney School of Law part-time with a graduation date of spring 2019, which does not allow her much free time; however, she teaches human resources business acumen, employment and labor, and diversity and inclusion classes for SHRM certification education. She also loves wildly spoiling her nieces and nephew, as well as her two dogs, Foster and AJ. She graduated from Indiana University, Bloomington, which led to a lifelong obsession for Indiana basketball.